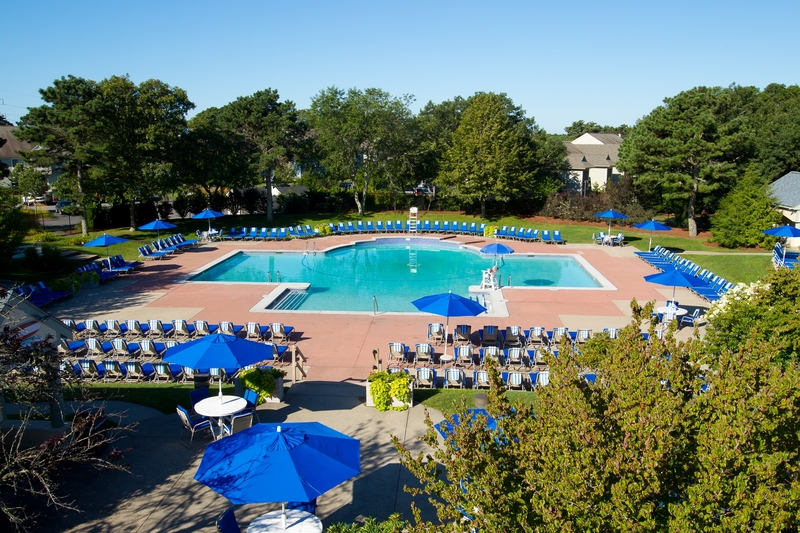 Ocean Edge Resort & Golf Club offers six sparkling pools, including two indoor pools open all year for your enjoyment. Pool access is permitted for Ocean Edge Club Members and Resort Guests. Appropriate identification is required to access all amenities. All pools offer complimentary towel service. Click the tabs below to explore! 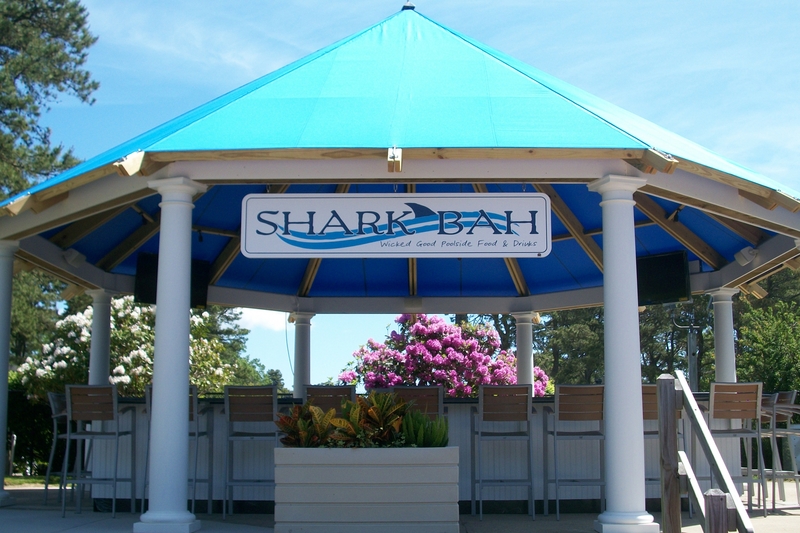 Arbor Pool & Shark Bah! 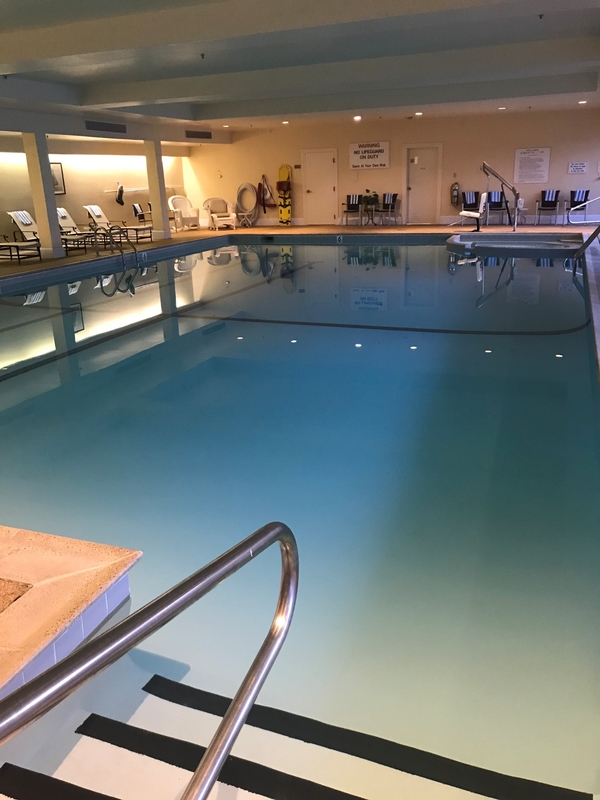 Located in the West Wing of the Mansion next to the Fitness Center, Bayside Indoor pool offers an alternative to the outdoor pools on property. 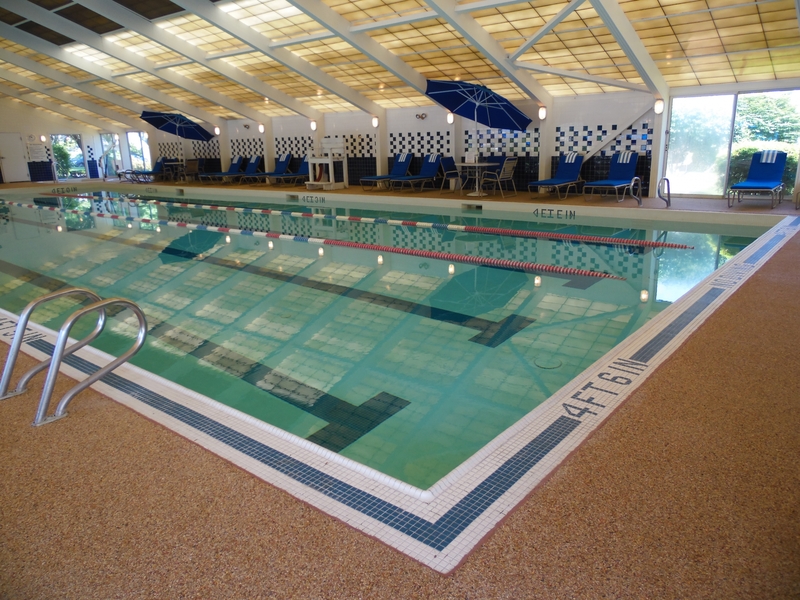 Heated year round, Bayside Indoor Pool provides space for swimming laps or playing pool games with the kiddos! After your swim, rinse off with a hot shower or relax in the sauna in the Bayside locker rooms. Located adjacent to the Bay Pines Tennis complex, the facility includes a glistening heated pool, hot tub and snack cabana. 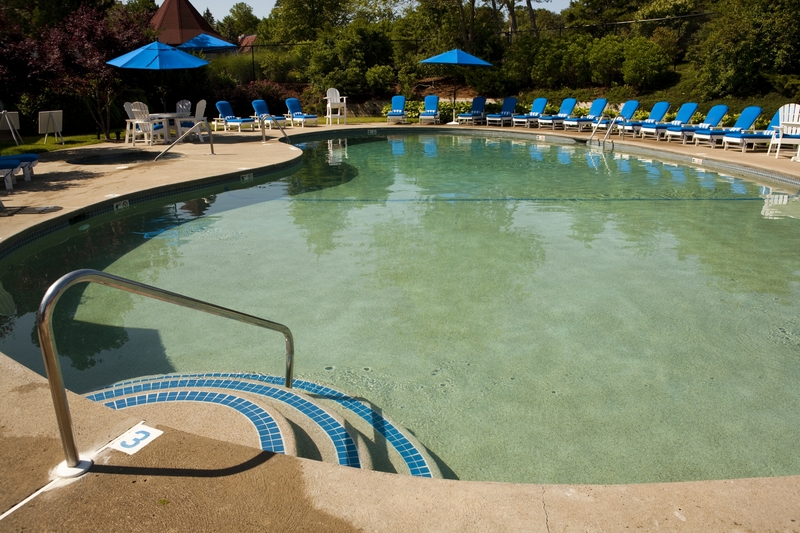 Relax in the sunshine on a comfy lounge chair or take a dip in the refreshing water! Located at the Member Sports Club on the Villages side of the property, the MSC Pool is an exclusive oasis for our Ocean Edge Members. Take a refreshing swim after an intense workout or relax by the pool with a healthy smoothie from the cafe. 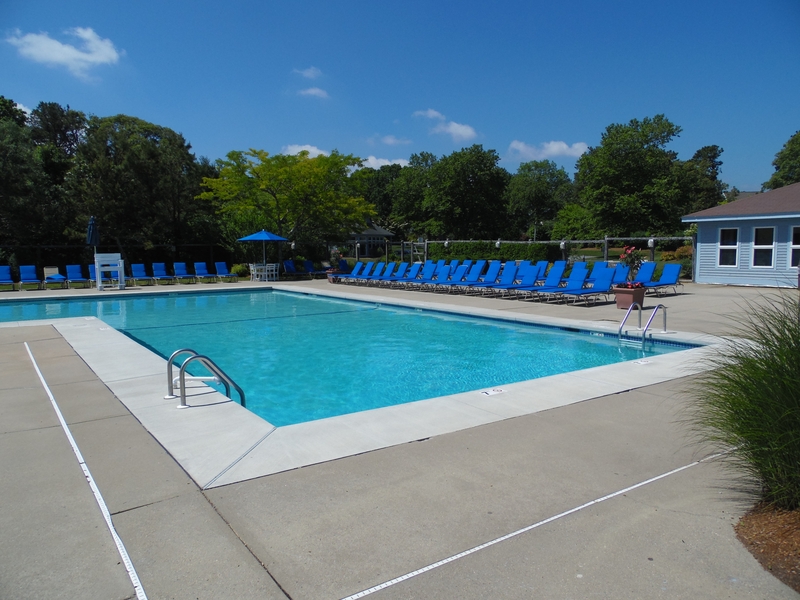 Located in Fletcher Village, Fletcher Pool boasts two separate pools for your enjoyment; one indoor and one outdoor. Fletcher Indoor Pool is heated year-round and provides a fun and comfortable swimming environment, no matter what the weather is doing outside! Locker rooms are available for your post swimming needs, complete with showers, a sauna, and lockers. 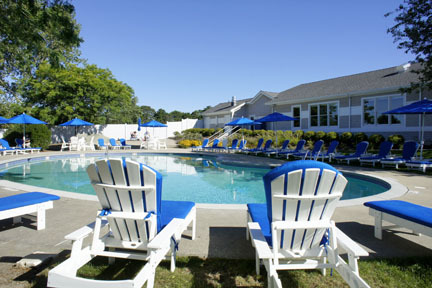 Fletcher Outdoor Pool is a prime spot for enjoying the beautiful summer afternoons on Cape Cod! Relax in the sunshine and take a refreshing dip in the crystal clear water. Younger children can enjoy splashing in the shallow Kiddie Pool. Does all that swimming make you hungry? We've got you covered! Order delicious snacks and drinks from our Pool Cabanas! Located directly across the street from the Linx Golf Clubhouse is the Arbor Pool complex, consisting of Ocean Edge‘s largest outdoor pool, a toddler pool, hot tub and the Shark Bah. Arbor Pool is THE place to be on warm summer days, and provides fun for every member of the family! Soak up the sunshine on a lounge chair or cool off with a swim in the pool. Don't feel like swimming? Belly up to the Shark Bah and cool off with a frozen tropical drink! With a nod to our fellow Bostonians, we bring you the Shark Bah at Arbor Pool, serving up wicked good poolside food and drinks all season. This beautiful gazebo features a selection of frozen and tropical drinks, wines by the glass, and a variety of beer and spirits. On the menu are salads, burgers, hot dogs, sandwiches, wraps and soft serve ice cream. Open to Ocean Edge Club Members and Ocean Edge Resort Guests only.